Dipping into Autumn – Kolokithosaláta and Pantzarosaláta – Two unusual mezé dips. So that’s it… it’s officially autumn. It seems to have come around really quickly, and I suppose that’s the result of a disappointing summer season in England. Don’t get me wrong – I’m not complaining – but it is that lack of a good blast of bone-searing heat, that makes the onset of autumn seem less a season of ‘mists and mellow fruitfulness’, and more the overture to more rain and grey skies. 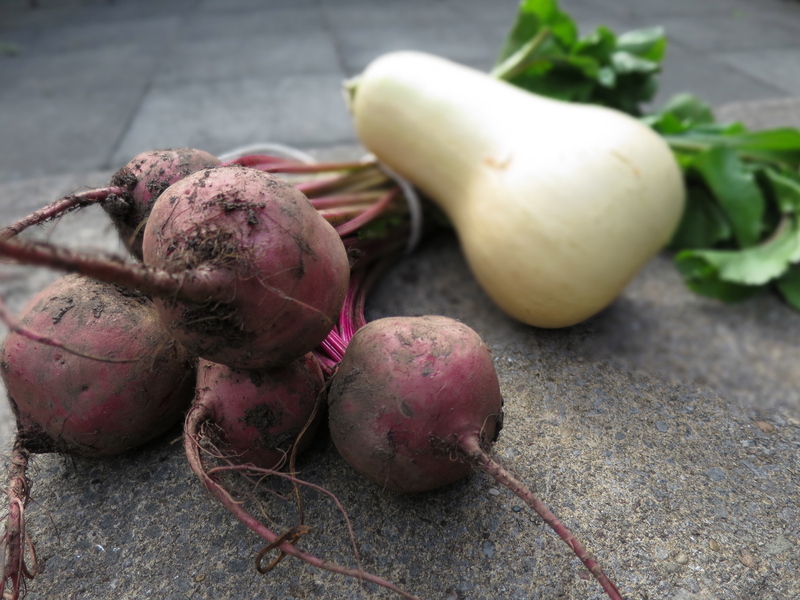 Ever the optimist, with one eye to hopes for and Indian Summer, I have cast my thoughts forward, to the bounty of autumn and the magic that can be brought out of its seasonal vegetables. 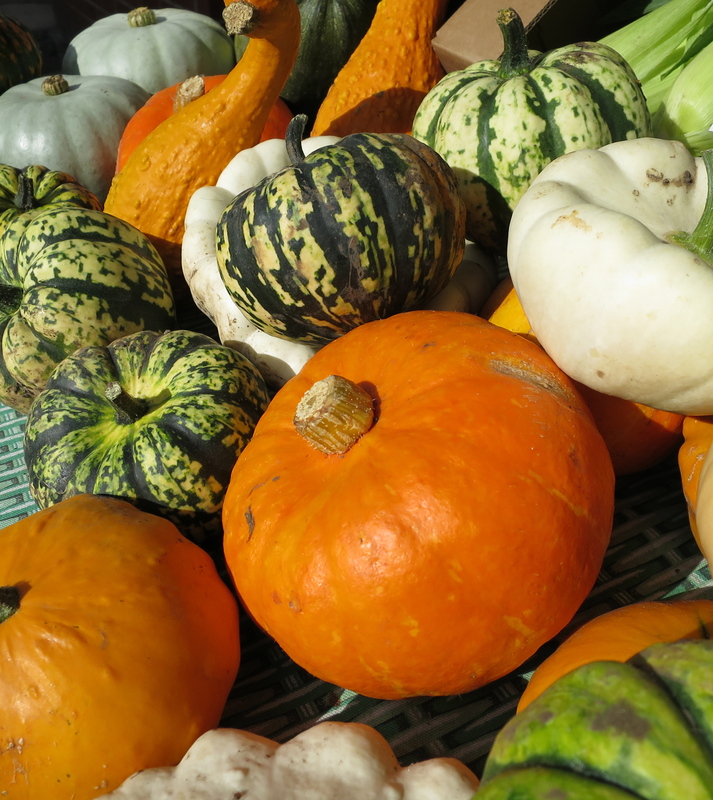 When I think about autumn food, my thoughts go to pumpkins and root vegetables …. not very Greek, you might say but the pumpkin is a common presence in Greece as gourds – hanging from vines all over Greece in late summer. 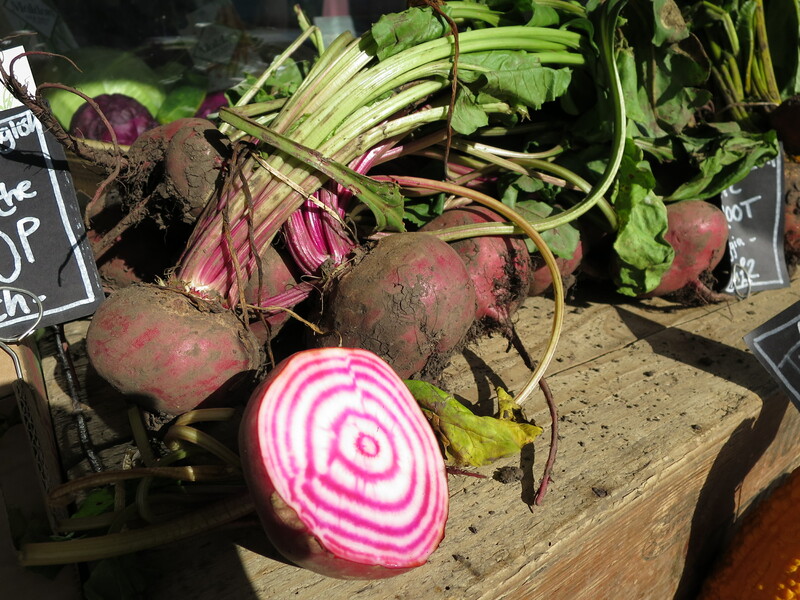 Beetroot, as I have said before, is a real staple of Greek cooking. It’s just that sometimes it’s nice to give these vegetables a bit of a new lease of life. One of my favourite elements in a mezé is a really interesting dip. Of course, I’m not knocking the classics – tzatzíki, melizanosaláta and fáva. It’s just that there are other flavours that you can get from other sources. Gorgeous and golden, like an intense blast of autumn sunshine, I give you kolokythosaláta (pumpkin salad). I just love making this – and eating it too! It touches all the senses. First the colour, with that intense saffron-yellow, and then there’s the smell – with the sweet juices of root-roasting and mountain oregano. A dish could not be easier. 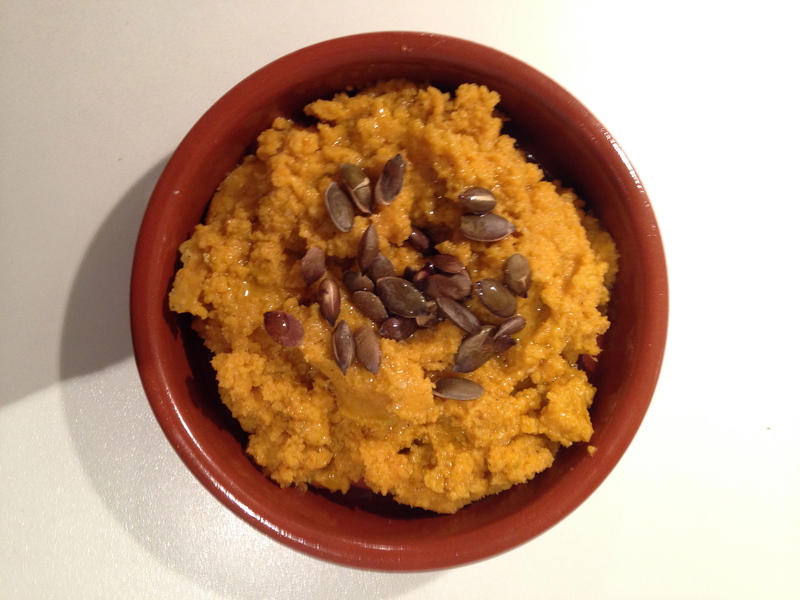 Soft, sweet roasted pumpkin, fork-mashed with crushed garlic, a little tahini, a sprinkle of dried chilli and olive oil – what could be easier. The indescribable fluorescent, pink, mayonnaise mess of your standard tavérna pantzarosaláta (beetroot salad). 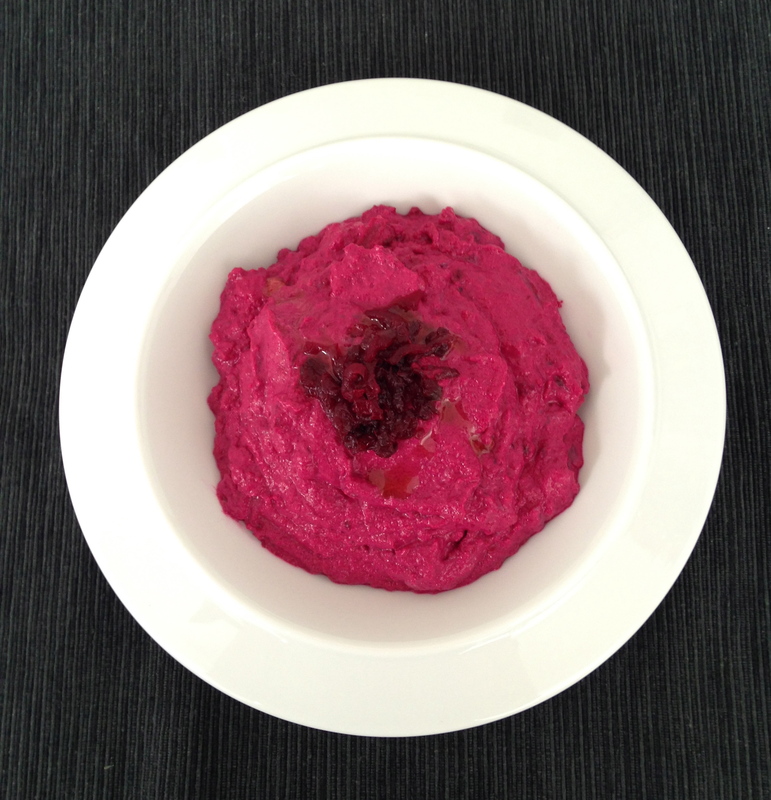 I trade it in for this beetroot dip. Slow-roasted beetroot – all soft, sticky and crimson, mashed up with a little yoghourt, tahini and a touch of orange zest, from the new-season oranges. What, I ask, could be more delectable for the harvest season? It’s maybe time, as the cold evenings draw in, to put a few logs on the fire and settle down to a few new mezé. Place the pieces of squash on a roasting tray, sprinkle with the dried cumin and chilli flakes and drizzle with olive oil. Cover with foil, and roast for about 30 minutes, until the squash is soft. Take it out of the oven, remove the foil and sprinkle over the dried oregano. Allow to cool. 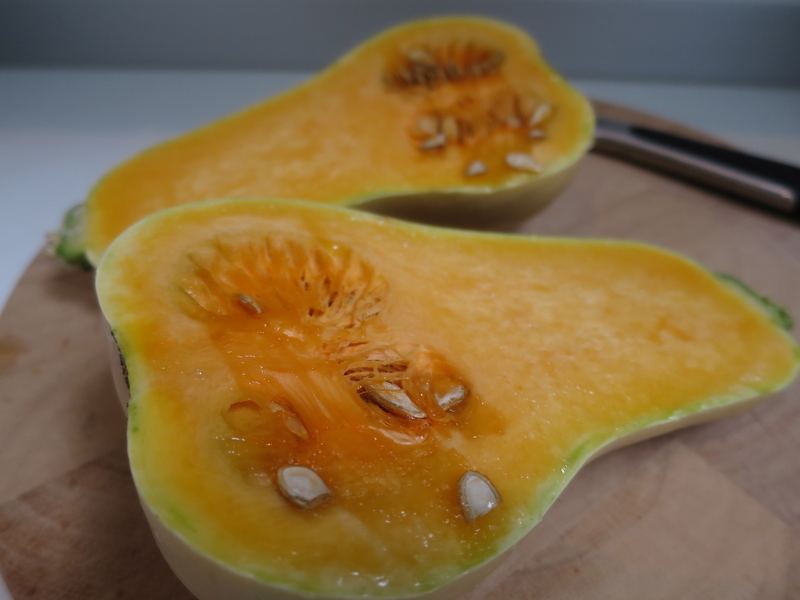 Put the contents of the roasting tray – soft squash and its juices – in a bowl. Add the crushed garlic, tahini and mash together with a fork – adding lemon juice and a little more olive oil as required. The idea is to achieve a fairly smooth but stiff dip – the consistency of, say, hummus. Add seasoning to taste and sprinkle over the toasted pumpkin seeds. Put half the peeled beets into a food processor with the tahini, yoghourt, lemon juice and and orange zest. Add a tablespoonful of olive oil and blitz. It may need a little more oil to achieve the consistency of something like hummus. Take the remaining peeled roasted beets and grate them with a coarse grater. This is a bit messy – so mind your clothes! Keep a tablespoon fool of the grated beetroot back, and mix the rest of it into the puréed beetroot mixture with a spoon. Check for seasoning and put into a serving bowl and top it off with the reserved, grated beetroot. Serve with warm pitta bread.